Woe is me. Vanguard is a synthpop/light electornics band, which I try my best to avoid. This time, however, I let myself be fooled, like a complete tool, by the release note which promised me a ‘powerful, dynamic and melodic kick off’ with charismatic vocals, but, as you can guess, failed to deliver. 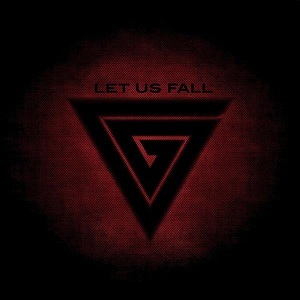 Fortunately, ‘Let Us Fall’ is just a single, so no real harm done. Facts: the release features two songs accompanied by three mixes of one of those. Not much, but that’s a single for you. The title song is a typical example of its genre, i.e. a tenuous thumping without the promised charisma and power, but with buttload of melodies and fitting lyrics. What’s more, it’s accompanied by three mixes, two of which feel like someone has put the original track on a loop. The one sliver of hope takes the form of Glitty Filth’s version of the tune, which features a significant change of tempo. That’s basically it, unfortunately, cause in the end it is still the same, unremarkable song. Put off by the first contact with ‘Let Us Fall’ I almost fell for ‘Through the Noise’. Needless to say, the first few promising seconds of the track are quickly transformed into yet another light electro tune, just like the previous one. Cunning, but not quite enough. I realise what I’ve written above does not work to Vanguard’s advantage, but as I’ve already mentioned I’m not fond of such tunes, so my opinion is heavily polarised. Therefore, the given score should be treated as a borderline: if you like synthpop, then it’s a no-brainer pick, if you don’t, better stay clear.